When Jason Lemkin sold his last company, EchoSign, to Adobe for $400 million in 2011, there was one thing he knew he was going to miss: not leading the next part of the company’s journey. “I don’t regret anything, but I lament not experiencing the next stage as a CEO,” Lemkin told Business Insider. EchoSign is now part of Adobe’s Document Cloud business, which is on pace to hit nearly $400 million in revenue this year. Lemkin, meanwhile, left Adobe after a year and turned into a full time VC, both as part of Storm Ventures and on his own. He primarily invests in cloud software companies, commonly known as software-as-a-service (SaaS). 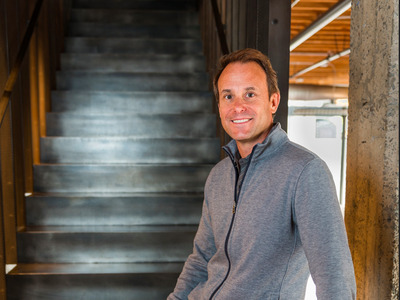 Although Lemkin won’t be able to see EchoSign turn into a billion dollar “unicorn” anymore, he has his sights set on other ambitions now: growing his own company called SaaStr and using it to help other cloud software startup founders build their own businesses. “I want to help other people. I want them to do better than me. And if you do it better than me, you have a shot at having a billion dollar exit,” Lemkin says. 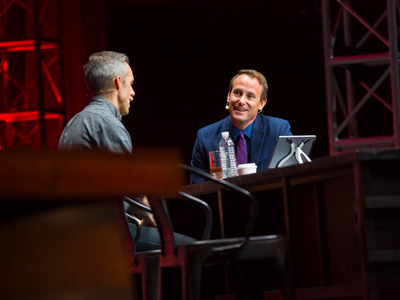 SaaStr is already one of the biggest names in the cloud software industry, leading one publication to give Lemkin the nickname, the “Godfather of SaaS”. His SaaStr blog posts are required reading for any cloud startup founder, and his annual SaaStr event has become a big deal after only two years. “There are founders that are more successful than me, but the ones more successful than me didn’t share their mistakes and learnings,” Lemkin says. To further his cause, Lemkin disclosed on Monday that he’s raised a new $70 million fund in little over 3 months. He’ll be the sole manager, and the fund will be dedicated to investing SaaStr community startups at the “late-seed” stage — that is, companies that have some traction and are ready to build their first sales team. Most investments will be in the range of $1 million to $4 million, but Lemkin stresses he won’t be going out of his way to find startups to invest in. “I only want to invest in this community — spend less time in trying to meet founders, and be more successful trying to invest in the community,” he says. Lemkin stresses he’s not running a charity with his fund. At the end of the day, it all comes down to making returns for his own investors. “If you’re doing this, raising money like this, and your goal isn’t to at least quadruple the money, your investors will be unhappy,” Lemkin says. But as much as he cares about his performance, Lemkin says he’s enjoying every moment of his life now because it keeps him relevant in the tech space — where hotshot founders often slide into obscurity after selling out for hundreds of millions of dollars. “These companies are just so great, and to be a participant in this next journey of enterprise, it’s pretty special,” he says. Double down on what’s working: In the cloud business, it takes a long time to grow your revenue. Don’t get frustrated! Just make sure to double down on what’s working, even if it’s not growing fast enough. It doesn’t mean don’t make your product better. But sell to the customers that already like your product. “Just focus on what works and not try to do anything new,” he says. Measure customer satisfaction religiously: As soon as you have just a handful of customers, measure your net promoter score and other customer satisfaction metrics. And do whatever you can to make them happy, because a lot of your future revenue will come from word-of-mouth and referrals. “When in doubt, triple down on your existing customers, and make sure that they are truly happy with your products,” he says. Spend most of your time on hiring: Once you start to see some traction, the CEO has to spend more than half of his/her time on hiring the best possible management team. If you don’t build the right management team, you will slow down just when it gets good. Do everything from hiring recruiters, networking, and buying banner ads. “The only thing worse than not hiring a VP of Sales when you get to $1 million in revenue is hiring a terrible VP of Sales,” he says.